I read an article on the internet yesterday,but i cant find it today.i wanted to post it to you guys.Im not sure if im making up my own stuff about some theories but i will explain.I will try to get the article today. it basically said that La toya spoke to a physic and this person told la toya that Mikes spirit is in their house in Gary,Idiana. If it is his spirit why isnt it around his kids or mom?why so isolated in their old house?maybe he missed the house,but im sure he visited before his 'death'? so howcome this wonderful physic coulnt talk to precious mike to see if his ok wherever he is?how come his spirit did not come through and talk to la toya but they could easily track him in Gary? in long island medium you see theresa talking to spirits who have been killed or commited suicide.so if mike was killed howcome this physic did not talk to mike.howcome his spirits here.the spirits in long island medium come through to talk to their loved ones even if they were murdered and state they are safe and always watching them howcome mikes spirit did not do that? With Respect Gorjus, Mike isn't dead. That is why we are on this forum. If all the conversation is staged in this 'Reality' show, then the psychic especially is doing some pretty good acting. I guess it depends on what you believe about a person's spirit after death being able to communicate real thoughts and emotions. 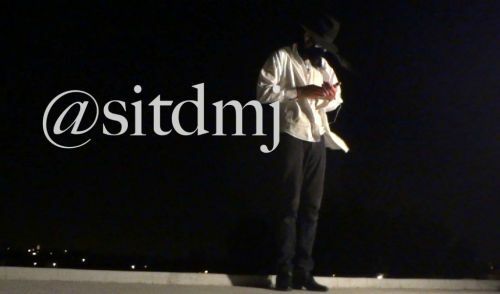 Or is this a message from live MJ, that we hoaxers should move on from our investigations? Do you guys think it's all acting? What are your thoughts? I'm not sure what to think. The psychic is a really good actor if this is all staged. Why would Michael want us to "let go" and move on? Does that mean he's not coming back? I'm confused. At the beginning that security guy in Hayvenhurst said "Michael's spirit is still around" , I thought Michael's spirit was supposed to be in Neverland where his "ghost" was seen. I wonder if "spirits" are able to travel from one place to another. ...This whole reality show is probably just part of Michael's illusion. So maybe it's staged. I don`t know to think about that.....it looks like acting to me from this medium..and he have no information about the person but know it`s Michael or Mickey...a very good script..
@MJonmind, I guess that Michael would tell us to not forget to live our lives well but he wouldn't say to give up imo. edit: so is it just a sort of laziness that would prompt latoya to disguise herself in this way, or could it be something else? It's probably good to remember that with "reality" shows there is a certain amount of scripting. The psychic was a good actor, sort of. I think this showed that La Toya won't "let go" until the truth is revealed which I imagine will coincide with Michael returning. I haven't been able to watch it yet, since I don't have sound on my laptop. Very curious to watch and comment. As soon as I'm able to listen at work. I agree with Sarahli! Look at the hand in the picture! Doesn't it look familiar???? And I can not believe a psychic connects that fast with the dead and communicate that clear. - She is "in disquise"
- "He want to be alive, as is he is alive today, but... " huh? But if that isn't La toya sitting there ( as some of you above mentioned), her/his line makes sence when the psychic asks is she is like the CIA of tha family. The person react with "Yes I put it all together, yes"
Hey I will check out the videos tonight.thank you so much.life with la toya isn't in my country:(and I wanted to watch just for mike but thanks for posting those links! @mjonmind don't worry about it as long as you merged it so we in one group.thanks! - And, when the psychic sums all his points up, (Mickey / Michael + Stong energy + Drugs + Accident or not + woman in disquise and all the other points) don't you think he could have known by then he was dealing with MJ? I think so! But that's just me..
if mike is in havenyurst howcome his at the physic reading la toya mmm? Right Sarahli, Diggy and you are talking about different things, I think Diggy thought that you were saying that behind the disguise of the person on the right pic with a red scarf was Michael and not Latoya but it really is, Michael is the one on the right and Latoya the one on the left and the pics are meant to just show us the similarity of their disguises, so Diggy unfortunately that hand looks like Michael's because it belongs to him and the pic is an old one, IMO.